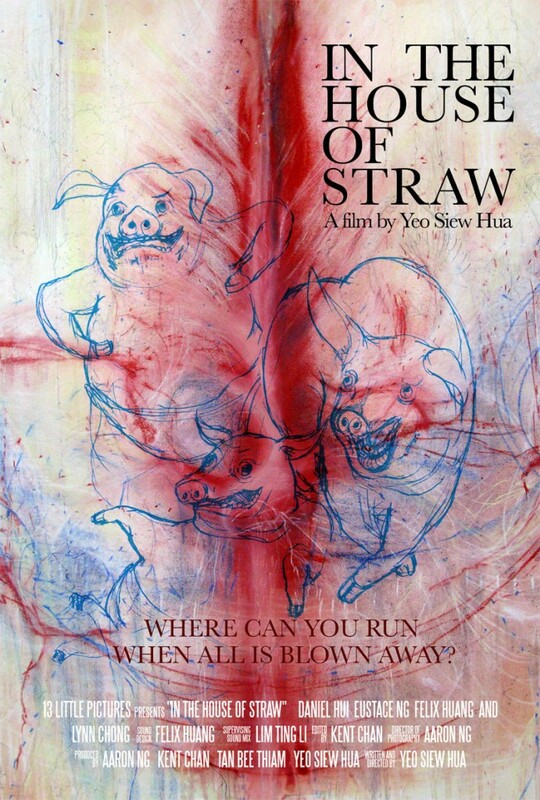 In the House of Straw by Yeo Siew Hua is not an easy film for a lot of people. Here’s a lovely introduction of the film by renown scholar and critic Professor Wimal Dissanayake from the University of Hawaii. He is also the author of Asian Cinema: An Anthology – Wong Kar Wai’s Ashes of Time, and Cinema and Cultural Identity. “Chris Yeo is a remarkably talented filmmaker who represents the best of the New Wave in Singaporean cinema. His first feature film, ‘In the House of Straw’ displays an acute engagement with society and cinema. Uncertainty , he seems to suggest, is a mark of modern life, and he seeks to capture this through the medium of cinema by focusing on the uncertainty of images both visual and aural. In other words, his cinematic style enacts his preferred theme. The interplay between displacement and replacement is central to the meaning of his film. From the displacement of meaning from the pig’s story to contemporary Singapore to the displacements in visual registers, one sees Chris Yeo’s interest in this binarism. The film ends where it began. However, we are not the same persons, and therefore the place we have returned to also has changed; the experience of the narrative has had the effect of transforming us all. Once again we see the interplay of displacement and replacement. Chris Yeo’s work has to be understood as an intervention into the regnant mode of filmmaking in Southeast Asia. He wants to bring about a change by moving away from the melodramatic to a more self-reflective cinema. He seems to be saying that we have the freedom to intervene in the national cinematic discourse, and more importantly, we do not have the fredom not to intervene.